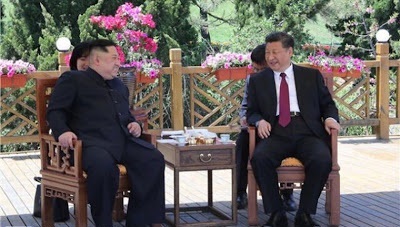 The president of China Xi Jinping has met with North Korean dictator Kim Jong-un. 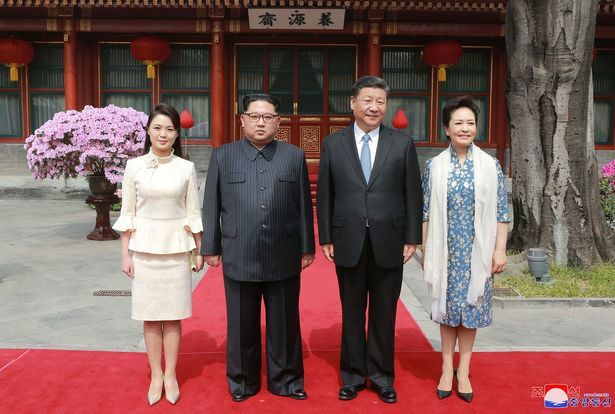 According to the South China Morning Post, Kim was a 'mystery guest' at a summit in northern China. He is reported to have flown in and landed in the port city of Dalian in the Liaoning province on Monday. During his visit on Monday and Tuesday, Kim told Xi he hoped relevant parties would take "phased" and "synchronised" measures to realise denuclearisation and lasting peace on the Korean peninsula. Xi hosted a banquet and told Kim of his support for North Korea's strategic shift towards economic development, Xinhua news agency said. The visit, part of a flurry of diplomatic engagement that has dramatically eased tension on the Korean peninsula, follows Kim's recent historic summit with South Korean counterpart Moon Jae-in, and precedes a planned meet with U.S. President Donald Trump. It was the second meeting between the two leaders in less than two months.